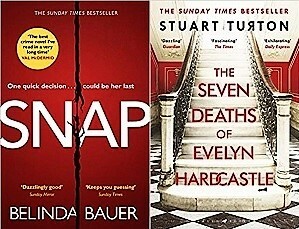 Belinda Bauer's Man Booker-longlisted Snap and Stuart Turton's Costa First Novel prize-winning The Seven Deaths of Evelyn Hardcastle are among the longlist for the Theakston Old Peculier Crime Novel of the Year award. Bauer is a past winner of the award, as are fellow contenders Val McDermid and Chris Brookmyre - the latter writing here as Ambrose Parry in collaboration with his wife, Marisa Haetzman. The longlist has been selected by an academy of crime writing authors, agents, editors, reviewers and members of the Theakston Old Peculier Crime Writing Festival programming committee. 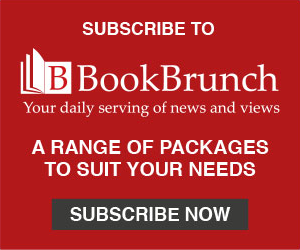 WH Smith will promote the 18 titles online, and there will be a library promotion. The shortlist will be announced on 19 May, and the winner, who will receive £3,000, will be announced on 18 July, the opening night of the Theakston Old Peculier Crime Writing Festival in Harrogate. The winner will be decided by public vote (20%) and by a judging panel (80%) consisting of festival programme chair Mari Hannah, Nick Johnson (WH Smith), John Williams (Mail on Sunday), and Simon Theakston (Theakston).